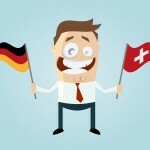 A recent study of Swiss German, the largest ever on the subject, was published this week. It offers insights into when and where the language is spoken. Switzerland has three (full) official languages: German, French and Italian, which are used more universally by federal government, and a fourth, Romansh, which is used when communicating with Romansh speakers1. While echoes of French and Italian dialects can be detected in today’s Swiss French and Italian, these dialects have been lost in time, and are now rarely heard. Switzerland’s German dialects on the other hand, are the mainstay of local communication in German-speaking Switzerland. However, when the Swiss government publishes documents in German, it uses standard or high German, the same German taught in Swiss schools and used in Germany. This means that Swiss-German speakers are all essentially bilingual, speaking both Swiss- and standard-German. The study questioned 16,487 permanent residents of Switzerland including some non-Swiss. 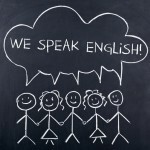 Regularly using a language was defined as at least once a week. So when and where are Swiss- and standard-German used in German-speaking Switzerland? While 87% of those living in German-speaking Switzerland use Swiss German regularly, a greater 99% regularly use standard German. This is so in all cantons except Glaris. The gap is particularly pronounced in Basel, Zug and Zurich. In addition, more use only standard German regularly than only Swiss German. Less than 2% regularly use only Swiss German, which rises to its highest in Glarus (5%). What varies more is the percentage using only standard German regularly. In cities this reaches 18%, compared to only 7% in rural parts. Close to half list both standard- and Swiss-German as main languages. Around 30% list only Swiss-German, and this percentage is consistent through all levels of education. A main language is one you think in. 96% of Swiss regularly speak Swiss German, compared to only 54% of foreigners. When it comes to standard German, the two are close: Swiss (99%); Foreigners (92%). 87% use standard German at work, a percentage rising to 90% among those under 25. If you had to pick between only standard- or Swiss-German, standard wins. While 11% use only Swiss German at work, 16% use only standard German. Of course, speaking both brings clear advantages. Over 70% use both at work. Communicating with friends, parents and partners is where Swiss German really matters. When people are asked when they prefer using Swiss German, 83% say among friends and parents, and 75% with their significant other. Coupled with this, were relatively low percentages saying they use standard German among friends and parents (26%) and partners (45%). Age takes Swiss-German preferences through some highs and lows. Between 15 and 24, 84% of regular social conversations are in Swiss German. Between 25 and 54 this drops to around 63%. Among those over 64 it jumps up again to around 75%. 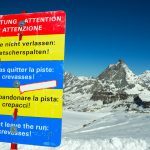 Only 29% of those in German-speaking Switzerland speak only one language – two if Swiss German and standard German are counted separately, 45% speak two, and 26% speak three or more. This can make it difficult for foreigners to pick up Swiss German. In addition, another study puts the percentage of German-speaking Swiss speaking English regularly at 43%. Did he say Chuchichäschtli or Chäschüechli? 1 According to the Swiss constitution there are three full official languages: German, French and Italian. The constitution describes these three as official languages of the federation. A fourth, Romansh, mentioned separately, is only required when communicating with people of this language. Why is Swiss French so similar to Standard French, but Swiss German so different from Standard German?